Jason and I have become regular shoppers of Aldi over the past few months. At first I was hesitant, but after trying their products we realized this isn't just another save money for cheap junk store like Save-A-Lot often is, but it really is a good quality store with great products. Here I am going to list the best grocery items from Aldi. These items taste better than I thought they would and are often on our weekly grocery list. If you are going to give Aldi a try, I recommend trying these best grocery items from Aldi. 1. Aldi Fit & Active Ice Cream: Chocolate Bars, Wildberry, and Orange as well as the ice cream cookies. All of these ice cream bars taste amazing and even better than leading diet ice creams and have low calories!! 100-150 each! 2. 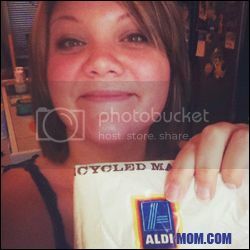 Aldi Kirkwood Chicken Items: Any of the Kirkwood chicken items, especially the chicken breasts and tenderloins!! Healthy and cheap and high quality. My daughter loves the Chicken Rings and two bags last her all month when having them for lunch a 2-3 times a week. There are more than you realize in one bag! 3. Aldi Goat Cheese: This was an amazing find! It looked good and I wanted to try something new. It is now one of my favorite foods! Smear it on a wheat cracker and it tastes amazing!! I have only tried the plain and the blueberry. 4. Aldi Produce: Amazing deals!!! And the produce is always good quality. I often purchase the fresh broccoli, romaine lettuce, asparagus, bananas, strawberries, grapes, pineapple, and cantaloupe. I have never had a rotten piece of fruit or anything bad tasting. I wasn't impressed with the apples...mine were a little soft the couple times I purchased them but we prefer really hard and crisp apples. 5. Aldi Berryhill PB & J: Our favorite is their version of Goober Grape. It's cheap, less than $2. Lasts all month. And is quick to make sandwiches with!! It tastes better than the real stuff. Also, their jelly and pb is around a buck each and tastes just as good as name brand. 6. Aldi Clancy's Pretzels: HANDS DOWN the best pretzels we have ever eaten. Yes, that means better than Snyder's. We LOVE the honey pretzel sticks and always have a stock of them. One tub lasts all month! 7. ALL Aldi's Lunch Buddy Stuff: Fruit snacks, lunchables, applesauces, etc. This is a cheap way to pack the kids lunches all week and the lunchables also contain a drink and they're still only around 1.25!! The fruit snacks come in an organic variety that I buy for Kacie and she loves them. 8. All the Aldi Millville Cereal Bars and Cereals: Haven't found one we don't like yet. The honey nut cheerios tastes different than name brand, but it doesn't taste bad just not what you may be used to. Has a stronger honey flavor, but I love it. We also really love the cinnamon toast crunch. And we always have a stock of the Fiber Bars (Very good deal on price compared to Fiber One) and the cereal bars (compare to Nutrigrain). The bars are just as good in quality as the name brands and suprisingly taste better. 9. 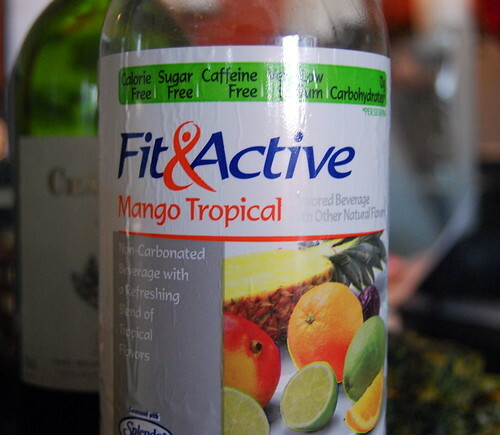 Aldi Fit & Active Drinks: These are a recently discovered favorite. We love all the flavors: tropical, strawberry, & lemonade. They are 0 calories and don't taste like crap!! They're actually amazing. We love the strawberry. We also always have a stock of this brand's crystal light drink mixes. We love the Grape and Fruit Punch. Haven't tried the peach tea. 10. Aldi Ground Beef: Same quality as other stores. Nothing bad here at all. I buy a large pack and separate it into one pound each. I wrap each pound in parchment paper and put 3 pounds in each freezer bag. I have been shopping at Aldi for years. I just read all of your posts so far. I agree the milk tastes BETTER than leading brands and is at least $1 cheaper. So far I agree with all of your reviews, except the ground meat at my Aldi usually has gristle in it and my husband refuses to eat it. So my meats (except chicken) come from the regular grocery store. I used to buy the individually wrapped steaks - they come in a box of 4 or 6 (I can't remember) and were great because I could thaw only what I needed. Also incredibly cheap at Aldi are the EGGS. I can't get over it. And the SPLIT TOP WHEAT BREAD lasts far longer than other brands - I buy other brands when in a rush from other stores and it goes bad quickly, but the Aldi bread stays edible longer. However, I found its the split top wheat specifically that lasts longer, and not always the other types.